easyprotect365+ professional protective clothing for abrasive blasting operations up to 500 bar / 7500 psi. The strongest fiber in the world for the toughest demands of the world. Thanks Dyneema any application grown to safely master the most difficult tasks. 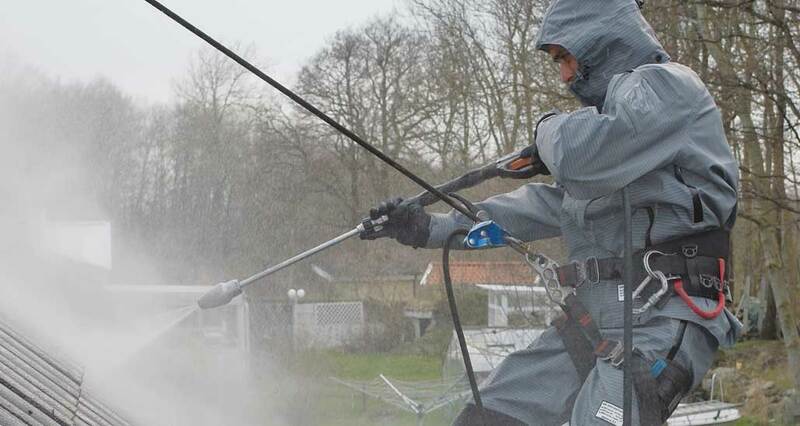 The perfect protection for people who work professionally with high-pressure cleaners not only in the industry. Comfort, function and safety Until now there has been no adequate protection for high pressure cleaning. Nothing that corresponded to the achievements of modern devices or user requirements on comfort and functionality. 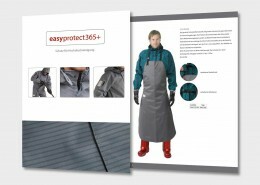 Our experience with water blasting work at high pressures (up to 500 bar / 7500 psi) and other personal protective equipment are the basis for our new clothing range. easyprotect365+ protection for high pressure cleaning. Ideal protection for abrasive blasting of concrete rehabilitation works, shipyards, petrochemical and steel industry.